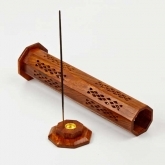 Incense has been familiar to humanity since the dawn of civilization and has meant different things to the different peoples who have come to use it. Its use may have originated in Sumerian and Babylonian cultures, imported from Arabian and Somali coasts and used in religious ceremonies. It was also used by the pharaohs, not only to counteract unpleasant odour, but also to drive away demons and gratify the presence of the gods. 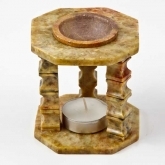 Nowadays, its use, for many, may still be ceremonial, but it is used also more simply as a means of relaxing, meditating, reducing stress, mood enhancement, masking unpleasant odour, or just to give a wonderful aroma in your home. 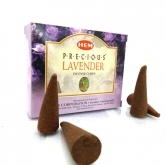 Incense has also played a large part in the modern development of aromatherapy, based on the belief that certain aromas have beneficial effects on body and mind. Everybody is different - so take a little time to experiment and find a fragrance that suits you. 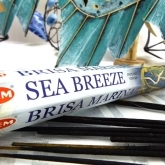 And remember - you can achieve the same results using our fragrance oils which some people may prefer to traditional incense sticks.